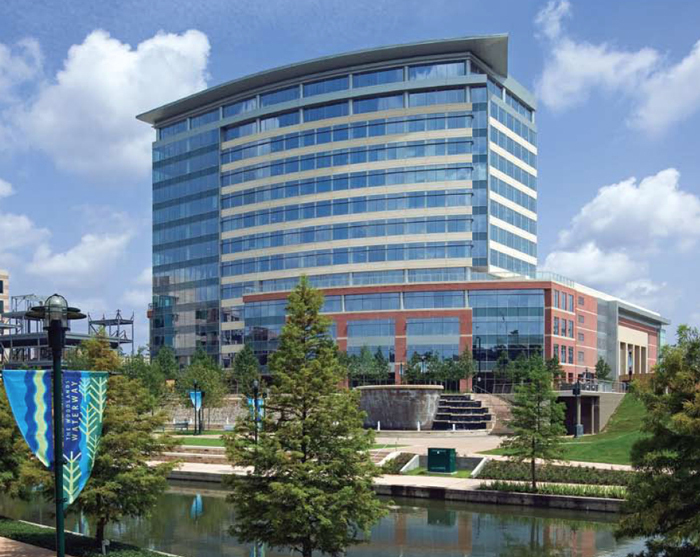 Built in 2008, 24 Waterway is a 13-story, 268,249 rentable square foot office building located at the center of Waterway Square and adjacent to The Woodlands Waterway Marriott Hotel & Convention Center in The Woodland, Texas. It is located at the southeast corner of Lake Robbins Drive and Waterway Avenue, two of The Woodlands’ most prestigious addresses. The building also contains an additional 43,689 RSF of retail space provided on the ground floor, which was not a part of the R.M. Watson Company transaction.